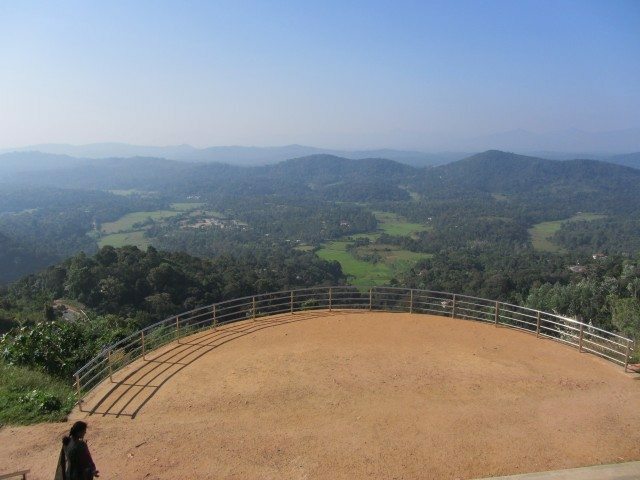 COORG DELIGHTS-DUBARE, MADIKERI AND MYSORE - Ghumakkar - Inspiring travel experiences. After a nice nap which we needed after our exertions at Talacauvery, we started at 3.30 PM for Dubare Elephant Camp. 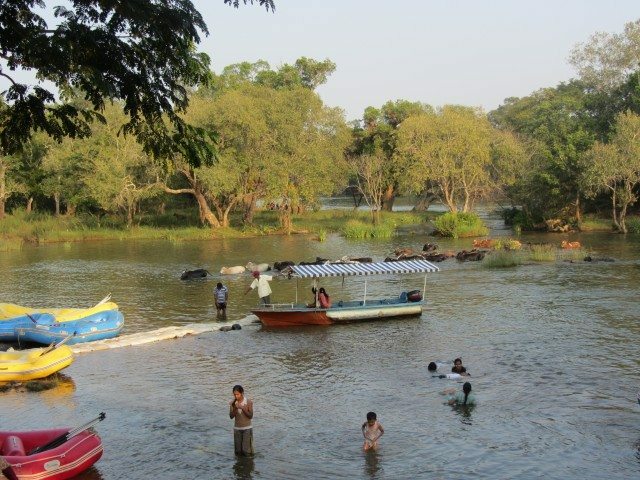 Dubare is a forest camp on the banks of Cauvery which serves as a base and training center for elephants run by the Karnataka Forest Department. These trained elephants are used on festive occasions like Dusshera. 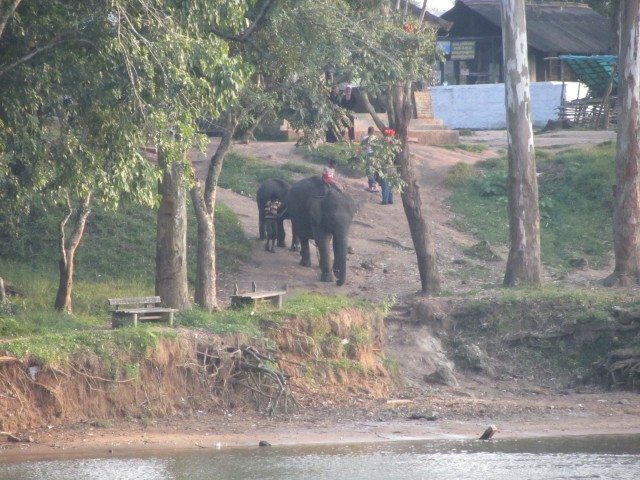 Currently the training of elephants has been stopped and elephants are used only for tourist rides. 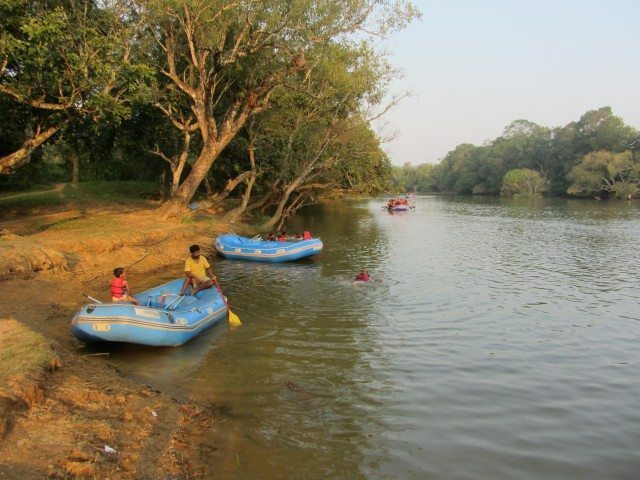 At Dubare, along with the elephant rides, tourists have the opportunity to take boat rides and Still Water Rafting in the river. From Madikeri we took the downhill route to Kushalnagar. 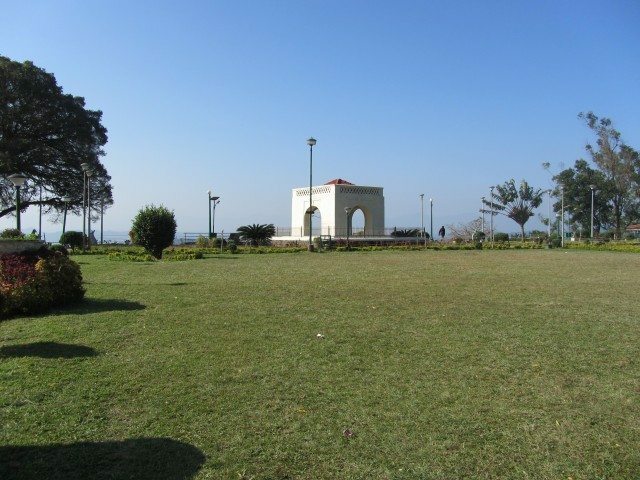 7 kms before Kushalnagar, there is a right turn from the main road which leads to Dubare. The moment we take this diversion, driving becomes a real pain as there is virtually no road, just potholes. Google maps showed another shorter route from Madikeri to Dubare (Siddapura Road). 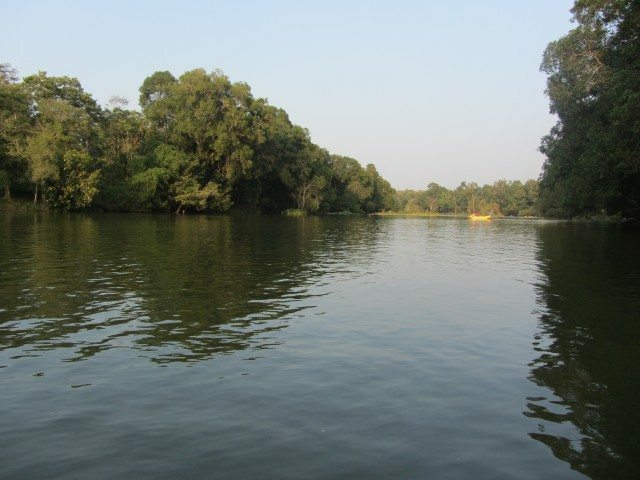 I was eager to check this route out since it was through dense forests with a chance of wildlife sightings. But our driver was not familiar with the interiors of the region and was apprehensive about the road conditions. So, we decided to stick with the main Kushalnagar route. It turned out to be a wise decision because seeing the pathetic condition of the main road to Dubare used by thousands of tourists, I wondered what would have been in store for us driving through those deserted forest roads. May be some day in the future in a sturdy SUV, I would have the chance to explore the interior towns of Virajpet and Gonikoppal . We reached Dubare Forest Camp at 4.30 PM. 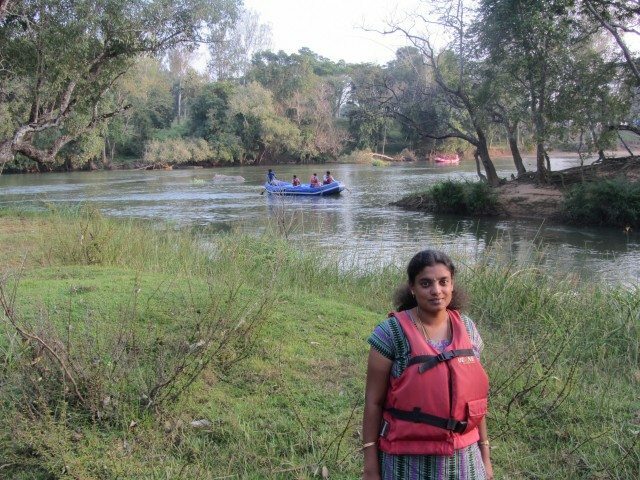 All our tiredness from the ride vanished at the sight of the serenely flowing Cauvery and the joyous screams of the people frolicking in it. 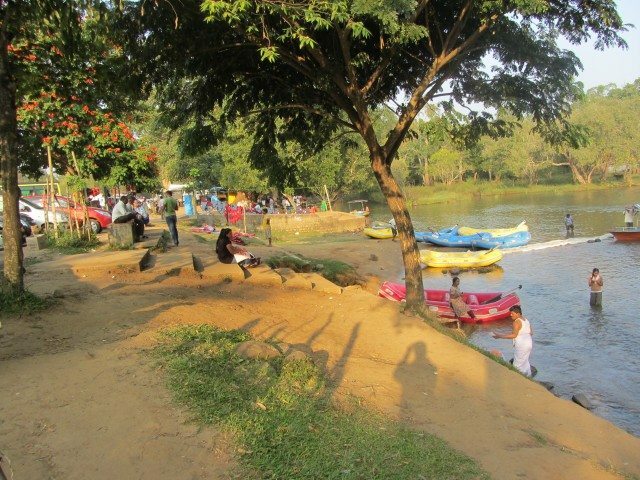 Even before our car halted at the parking area, my first impulse was to rush out and throw myself into the river. But my wife calmed me down and reminded that we had a lot of time in our hands. As soon as we got out of our car, we were swarmed by the locals advertising their boating and rafting rides. 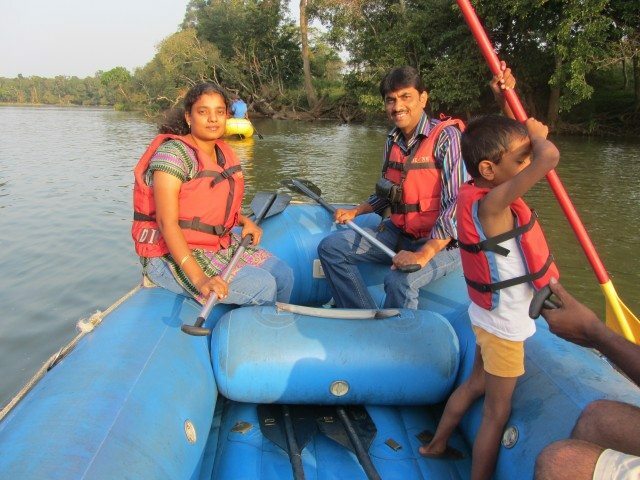 As we have had many boat rides on the Ooty and Kodaikanal lakes, we decided to try our hand in Rafting. 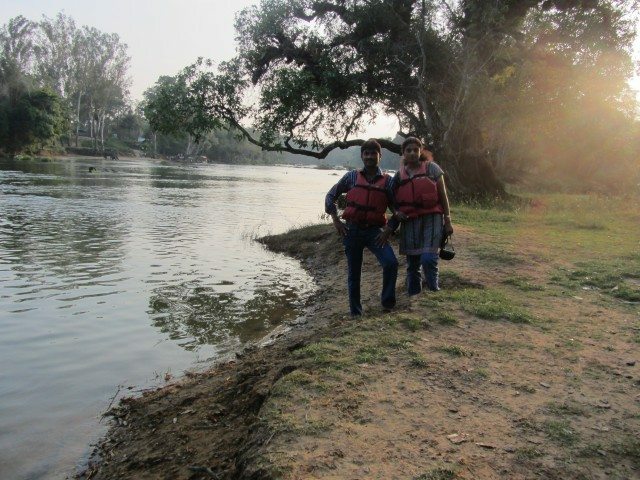 Thankfully, the Cauvery river at Dubare is shallow at most places and as such there wasn’t a great deal to fear in the rafting trip. 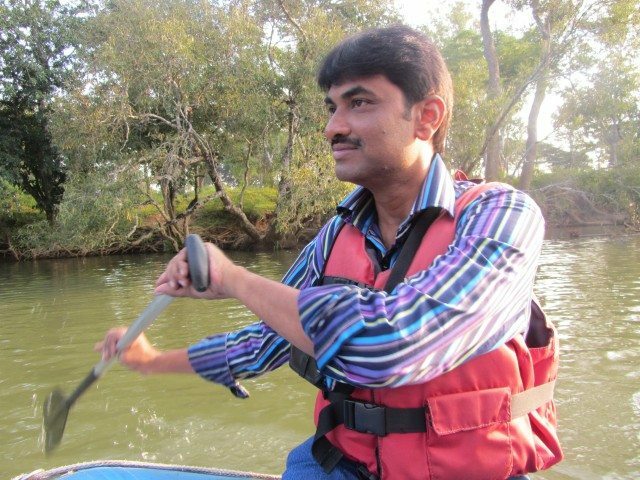 This isn’t the sort of adventurous river rafting one associates with mighty rivers like Ganges at places like Rishikesh. This is more of a gentle paddle through the quietly flowing waters. We were four adults and one child in our little raft. We had a great time on the ride snapping pictures of the surroundings. 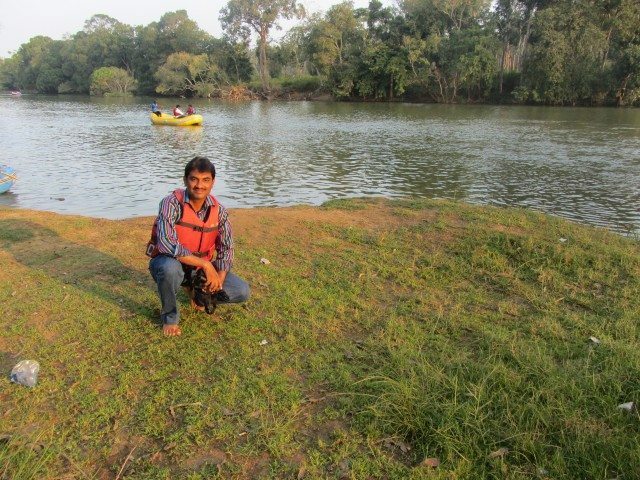 When one of our co-passengers wanted to have a dip in the river during our ride, our boatman obligingly anchored the raft at a spot in the midst of the river. We used the time to capture more pictures. The ride lasted 30 minutes and the fare was Rs 100 per head. 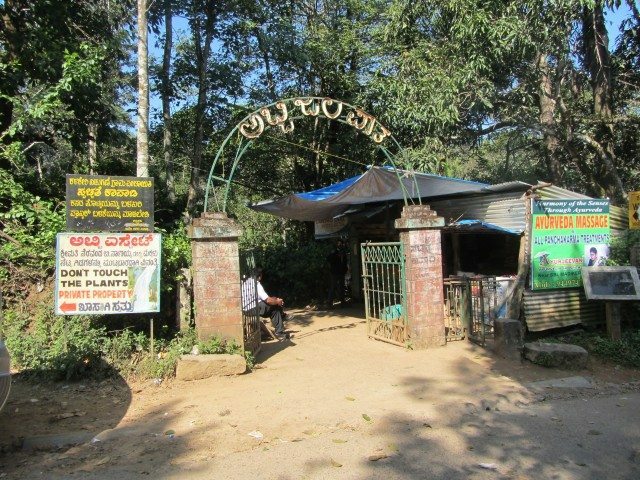 For people who wish to have a look at the elephants being given bath or fed, it is better to go to Dubare in the mornings around 9 AM. 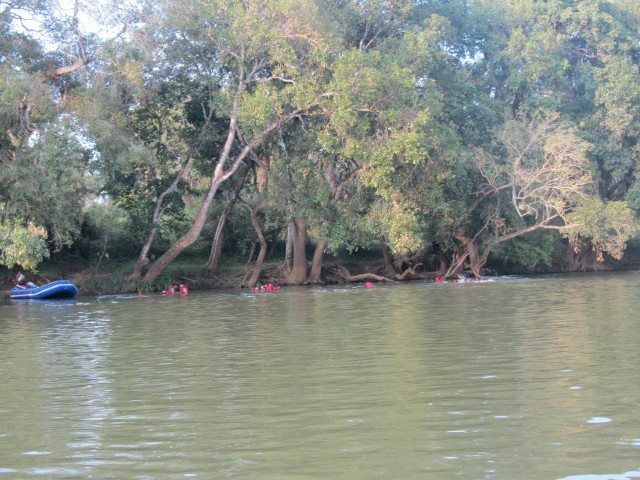 Since it was getting dark and I was itching to have a bath in the river, we skipped the boat ride which would have taken us to the other side of the river and given us a closer look at the elephants. 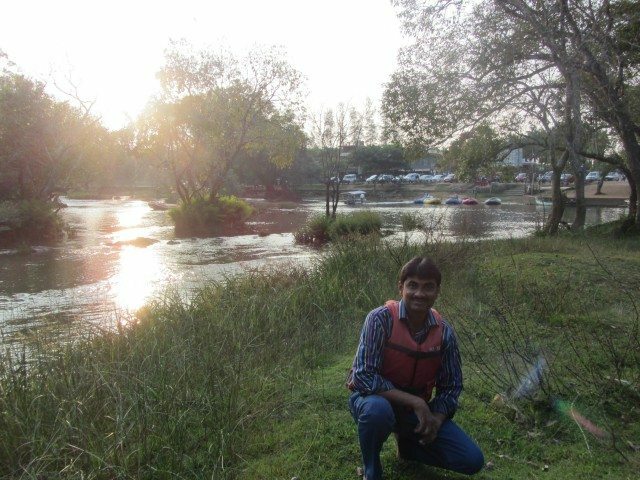 The joy of bathing in the cool waters of Cauvery as the sun is going down is a feeling not experienced by city folks too often and I didn’t want to miss it. The next half an hour in the river was one of the most relaxing moments of the trip. Refreshed and hungry after the bath, we tucked into some hot snacks in the shops near the Dubare camp entrance. Driving slowly in the dark on the non-existent roads, we reached Madikeri town around 7 PM to the sights and sounds of crackers heralding Diwali. Amidst the festive atmosphere, we had dinner at the packed Neelsagar restaurant and returned to our hotel. The day of our return back to Bangalore. 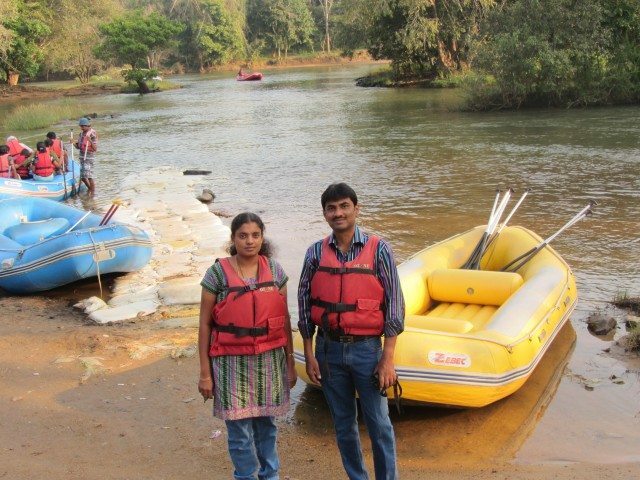 Today we decided to check out the attractions in and around Madikeri town. 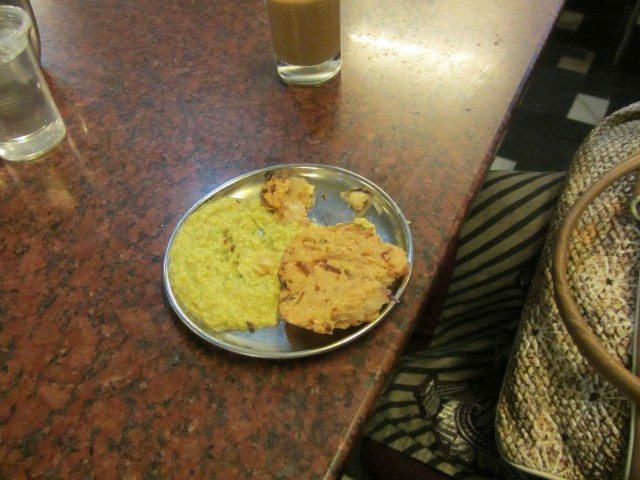 We vacated our room at 8.00 AM, had our breakfast at Athithi restaurant and proceeded to Raja’s Seat. 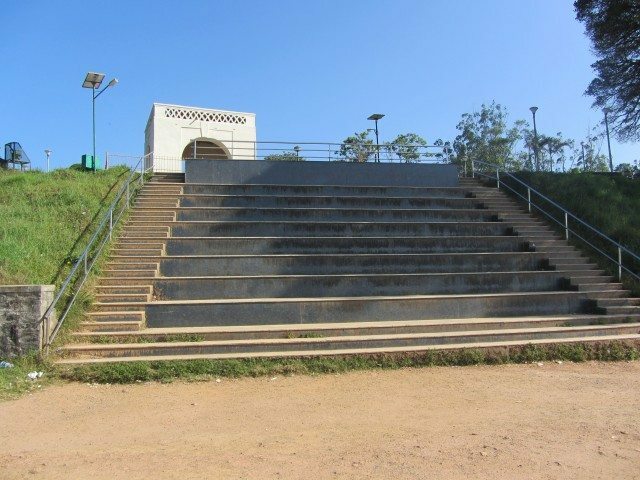 Raja’s Seat is a garden with artificial fountains situated right in the heart of Madikeri, barely a km from the Bus station. This garden built on a high level, has a wonderful view of the valley and of the mist covered mountains. 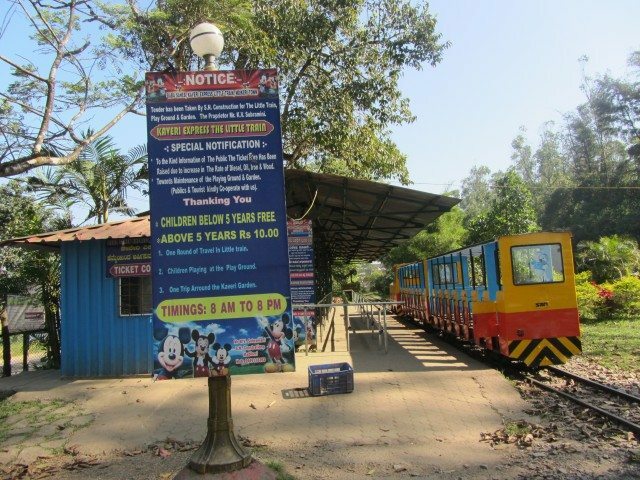 There is also a toy train at Raja Seat for children. 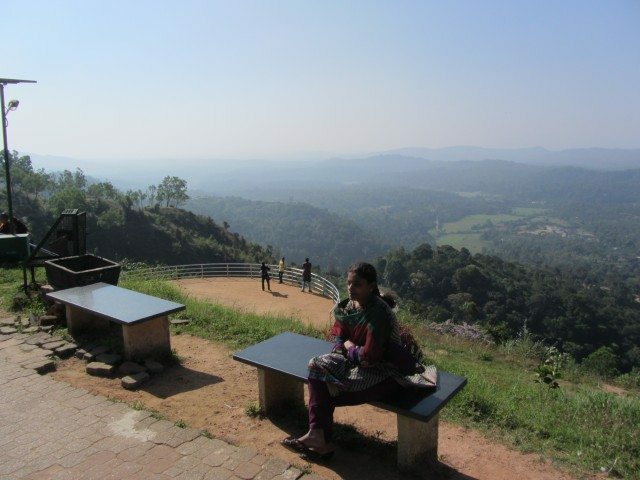 It is one of the famous tourist attractions of Madikeri and is heavily crowded in the evenings when people throng to catch a glimpse of the sunset. But we missed the sunset views on both the evenings we were in Madikeri-arriving late on the first day and held up at Dubare Camp on the next. So now we were at Raja’s Seat at 8.45 AM. 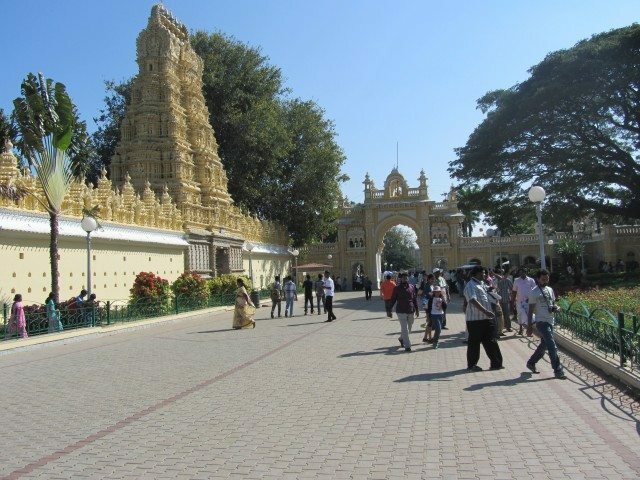 We parked our car(Parking Fees: 25 rs), paid the fees of Rs 10 per head and entered the garden. The place was totally deserted save for a few couples and staff. We virtually had the whole garden to ourselves. The early morning chill which hit us as we reached the edge of the park alone was worth the entry charge. Me and my wife were grateful for the lack of crowds. We both just sat at the steps in the park taking in the fantastic views of the valley and the fabulous weather. 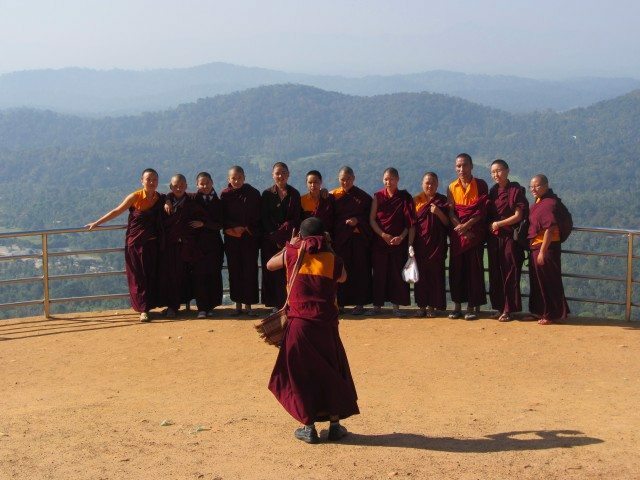 While at the place we found an amusing group of Tibetans who had come in a big group. There was one among them who was apparently the leader of the group and his antics while taking pictures and giving instructions to other members was simply hilarious. 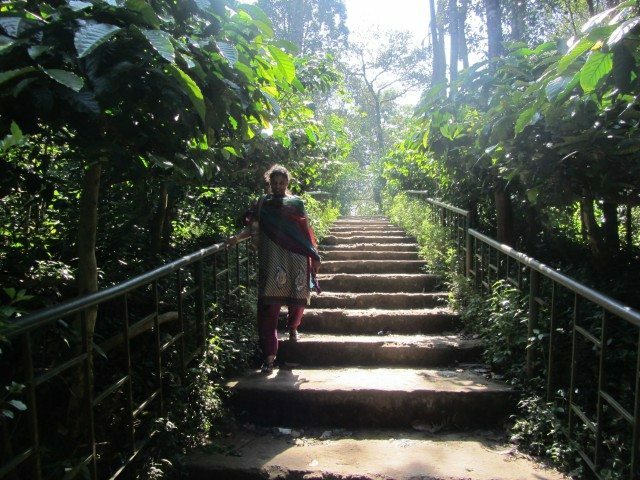 We reluctantly dragged ourselves from Raja seat and headed towards Abbey Falls, another famous tourist spot in Madikeri. 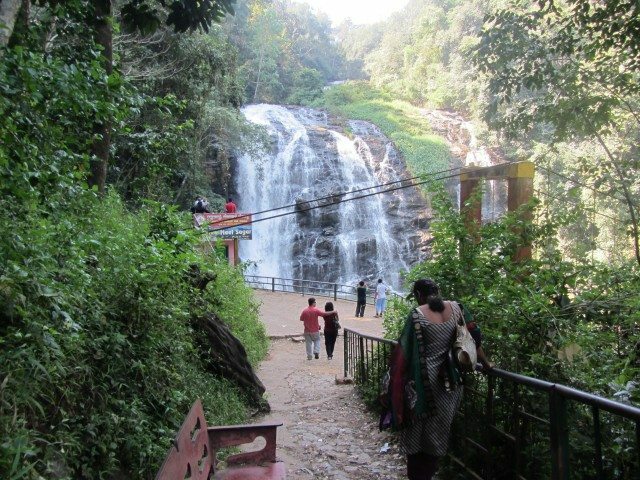 The falls is 7 kms from Madikeri town. 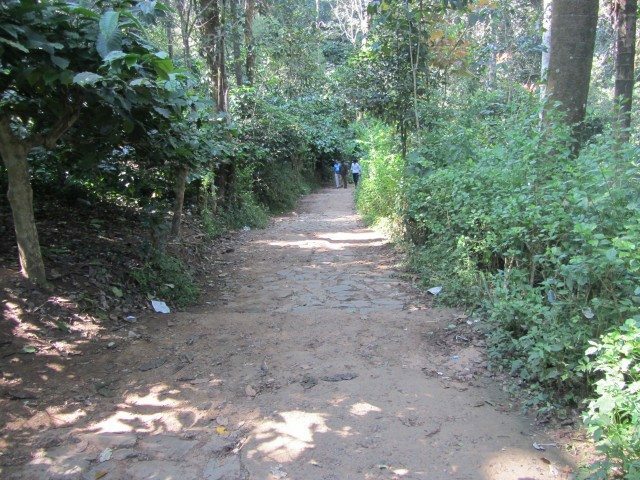 The roads to the falls are poor (which is pretty normal by Karnataka standards). We reached the place at 10 am. If I remember correctly, there wasn’t any entrance fees to the falls, only car parking charges were collected. We reached the falls after a 10 minute walk through a thickly wooded path. There are some resting areas provided along the pathway for people to catch their breadth. The water flow was decent in the falls. People are not allowed to take bath in these falls. 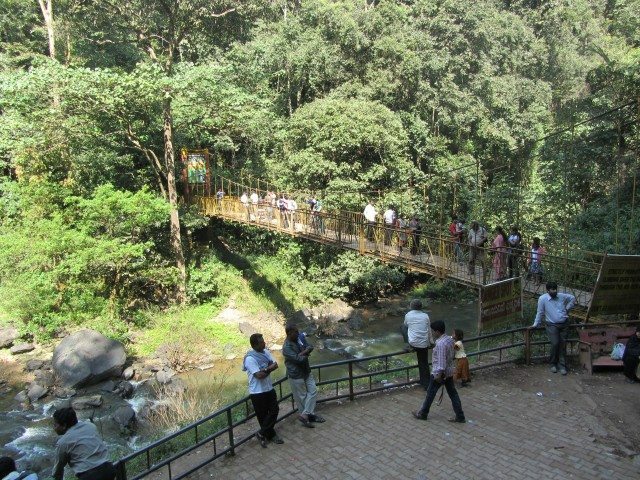 A hanging bridge has been constructed right opposite the falls for the tourists to have a clean view. Since it was still early in the day, there was only a sparse crowd at the place. We clicked some pictures and returned back. Abbey falls is a good place to spend some time if you are a first time visitor. I think the falls will be a much better place to visit during monsoons. 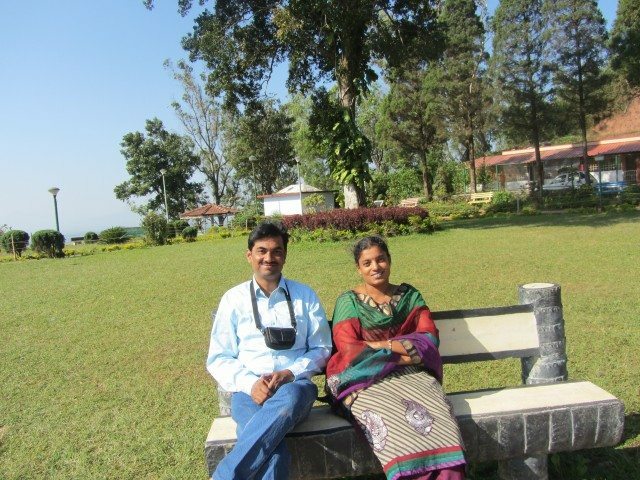 At 11 AM we started our return journey to Bangalore from Madikeri. 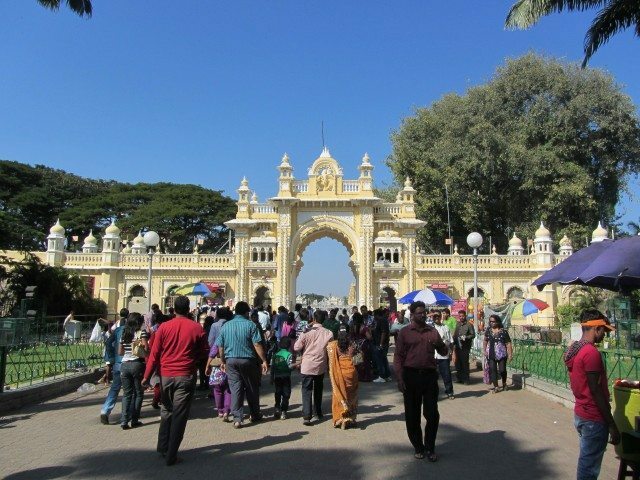 We reached Mysore City around 1.30 PM. Highly recommended by the locals, we landed up at R R R restaurant for lunch. 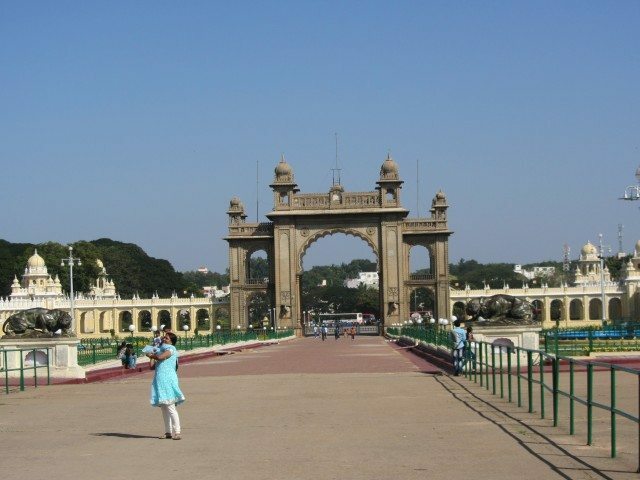 The restaurant is situated right in the heart of Mysore City, near to Mysore Palace. It is highly popular among the locals for its Veg Thali and the Mutton and Chicken Biriyanis. There was a huge crowd when we reached there. We tried out the Mutton Biriyani and the taste was just about average. It once again reinforced my opinion that it was always better to stick to veg items in Karnataka. May be we Tamilians are spoiled by the excellent range and taste of the Non veg food we get in Tamilnadu. 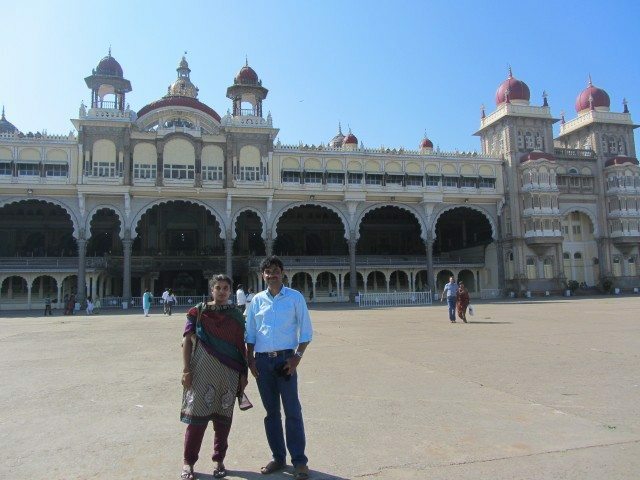 After lunch, we visited Mysore Palace, which we were both visiting after more than 20 years. The place is very well maintained and the interiors are a marvel to behold. 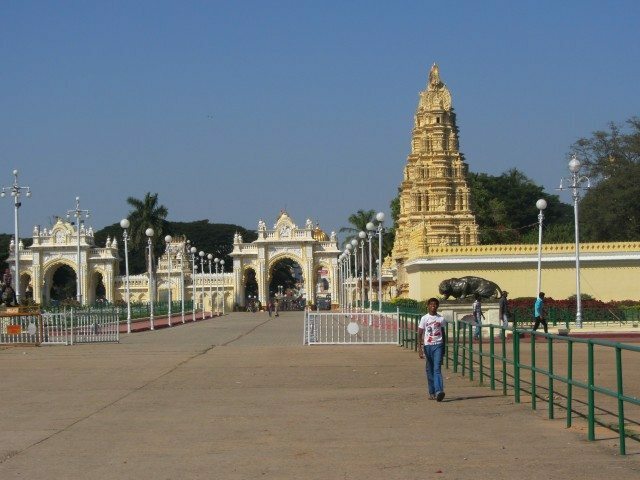 It is one of the must-watch sights of Mysore especially during the night time when lakhs of lights are switched on simultaneously. 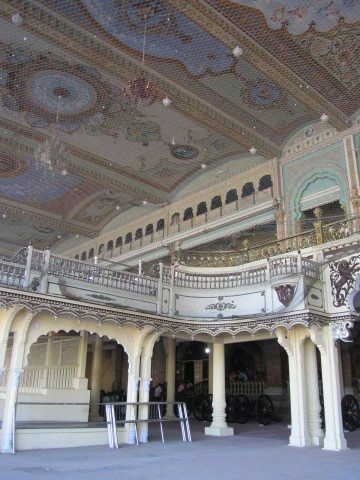 Photography is strictly prohibited inside the palace. 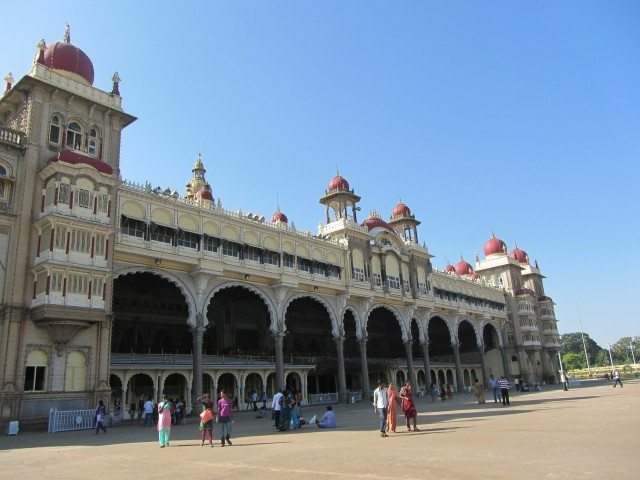 So, here are some pics of the exterior of Mysore Palace. 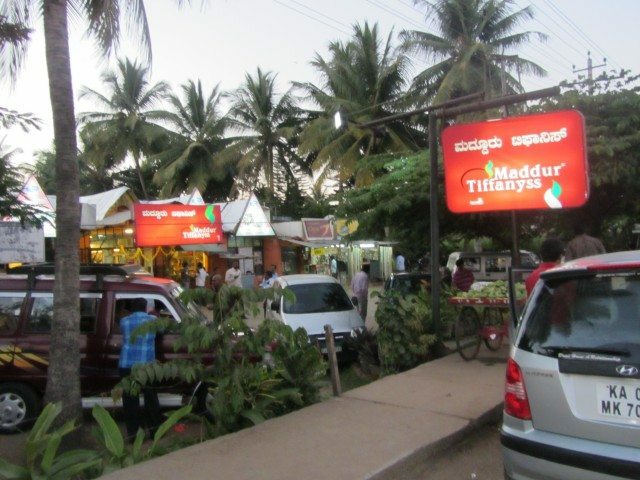 Driving on from Mysore we didn’t miss tasting the delicious Maddur Vada at Maddur Tiffanys. 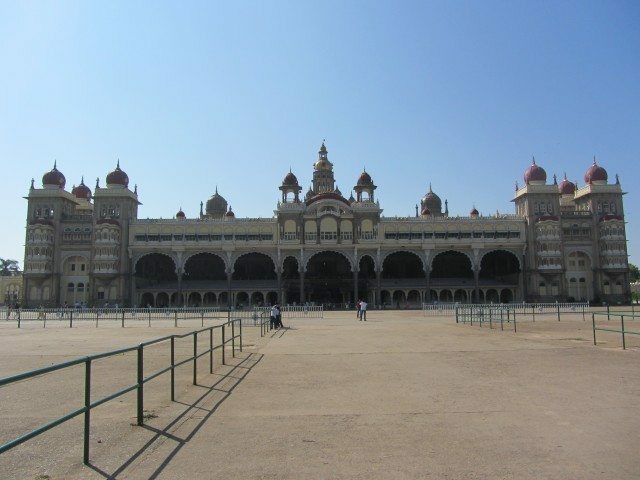 We reached Bangalore City around 8 PM, took our train and reached Tiruppur the next morning. 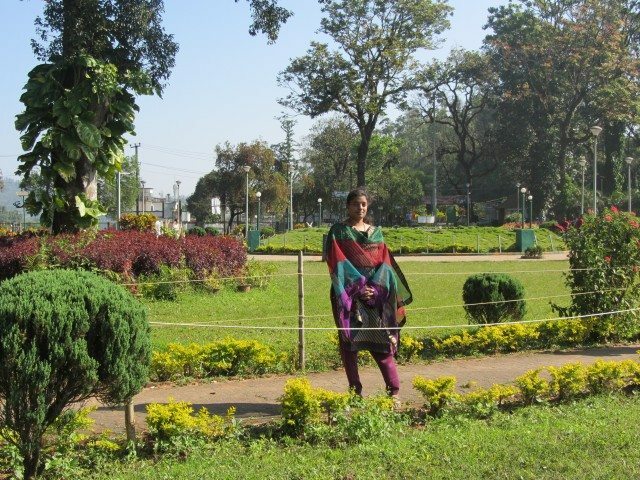 Loves travelling, mostly to greenery filled places. And as you must have seen from my posts, an avid foodie. very good and attractive post , images also beautiful. 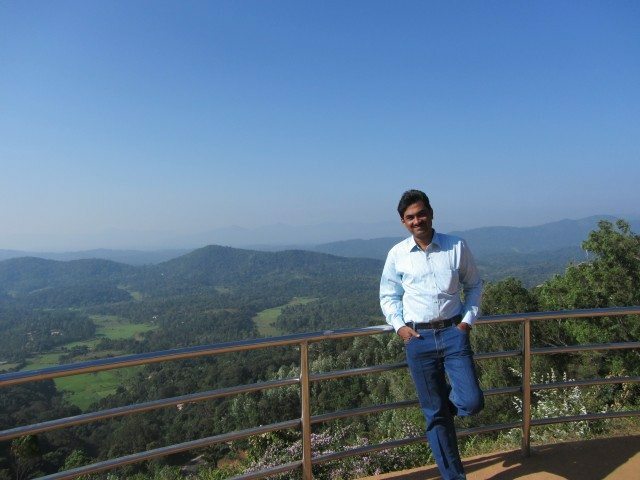 Yet another beautiful post on one of Karnataka’s most visited and talked about tourist destination. Thanks Venkat for another lovely one! Thanks to sharing these with us. 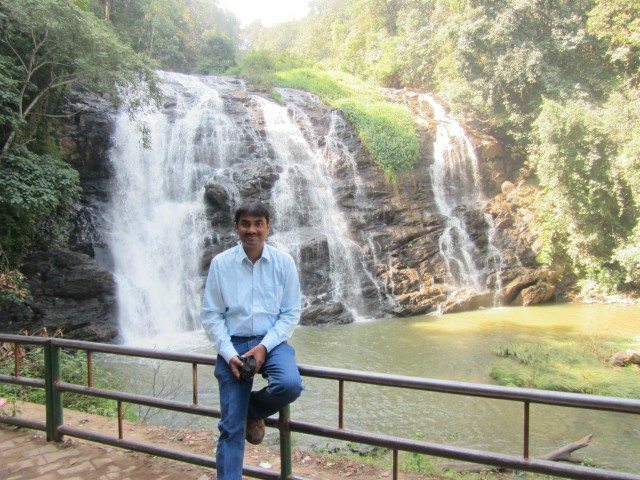 I have planned a trip in June last week to see Coorg, Jog falls, Mysore etc. Your blog is informative for me. Big thanks.